Thieves use replay attacks to defeat home security systems. 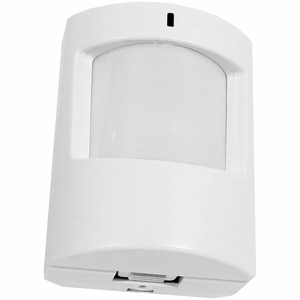 Encrypted Security System motion detector with pet immunity. Using encrypted security devices like S-Line or Power G devices will prevent replay attacks* on your home security system or Smart Home Security System. S-Line Sensors utilize an advanced encryption scheme between the sensor and the IQ Panel 2 to ensure that sensor event transmissions are always unique, preventing and eliminating common replay attacks*. At the time of pairing, S-Line technology passes a unique key which enables the encryption algorithm for unique event transmissions. Encryption technology exclusive to IQ Panel 2 Communicates using a unique key enabled encryption algorithm Prevent replay attacks. What are Power G devices? 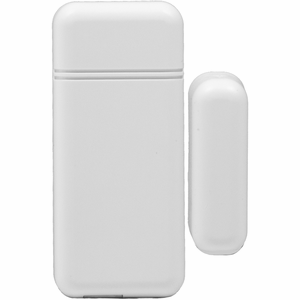 Power G devices are Ultra-reliable, two-way 128-bit AES encrypted communication and iron-clad protection that blocks interference deliver unparalleled cyber protection. Power G devices protect against replay attacks when paired with a panel that works with encrypted devices. What is a Replay Attack*? A replay attack is when an individual uses an easy to purchase software defined radio or “Listening device” to replay events that were previously sent by security devices paired with a security system. Because legacy security radio frequency protocols do not have any encryption they transmit the exact same event information every time. When the system receives the false, replayed event, it takes this as a true event. This is a large and serious security limitation that allows those with access and knowledge of this technology to create false events including Key-fob Disarm, Door Open, Window Open, Motion detected, and more. Utilizing S-Line sensors you can prevent the risk of such attacks when using the IQ Panel 2. Most people think their security system is secure, a study by Parks Associates release this whitepaper discussing the topic of security and smart home security systems.